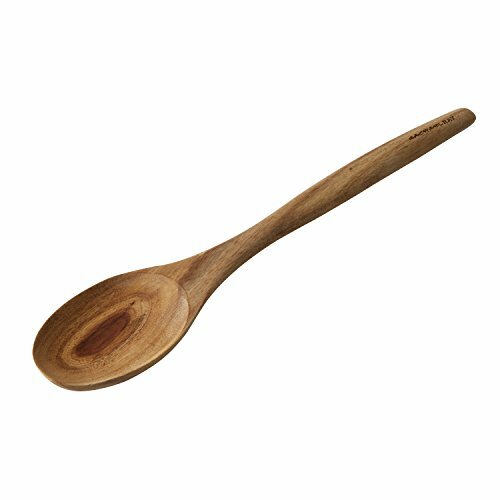 Lending a helping hand to meal preparation and serving, the Rachael Ray Cucina Tools 12-1/2-Inch Spoonula quickly becomes the go-to kitchen tool that not only offers clever performance, but also an attractive, modern rustic appeal. 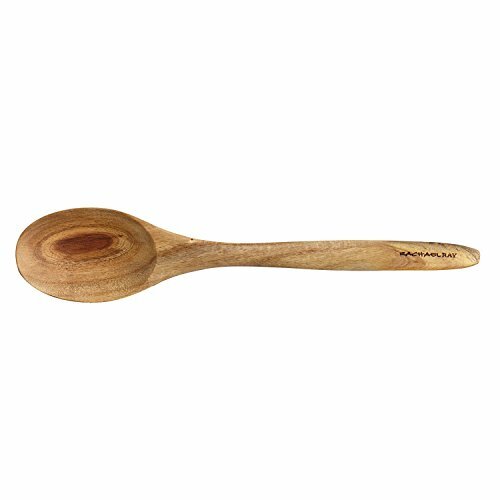 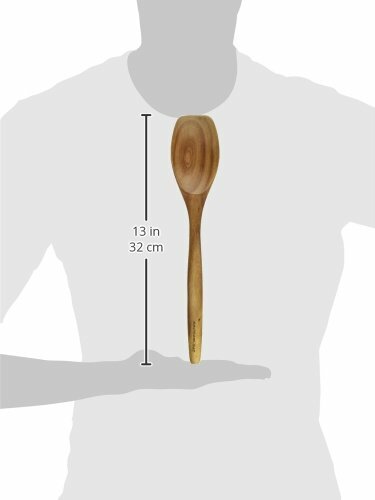 Featuring a beautiful acacia wood handle and a colorful silicone head, the artisan-quality spoonula is suitable for nonstick cookware and makes an ideal partner for Cucina pots and pans. Doubling as a serving tool for dishing out rich casseroles with savory sauces, the spoonula kitchen tool smartly combines the functionality of a spatula with a spoon. 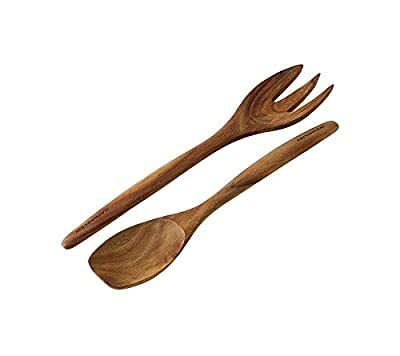 Ideal for a variety of tasks, from stirring and scraping to folding and serving, the spoonula cleanly spoons sweet decadent chocolate for Rachael's Irish Coffee Pots de Creme from the food processor into bistro tea cups for an after-dinner delight. 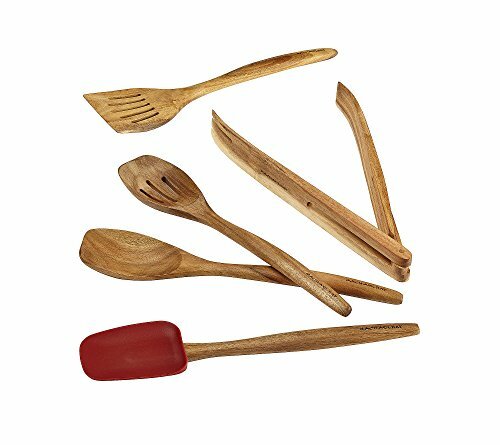 Heat safe to 450 Degree F, hand washing is recommended to preserve the handle's wood finish. 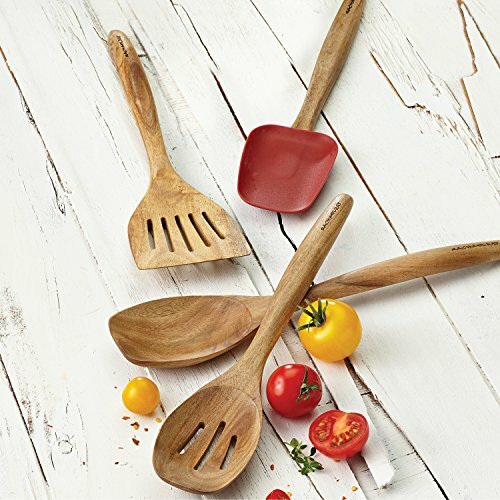 This attractive kitchen tool partners nicely with Cucina serveware and cookware, along with many other inviting pieces from the Rachael Ray Cucina collection.